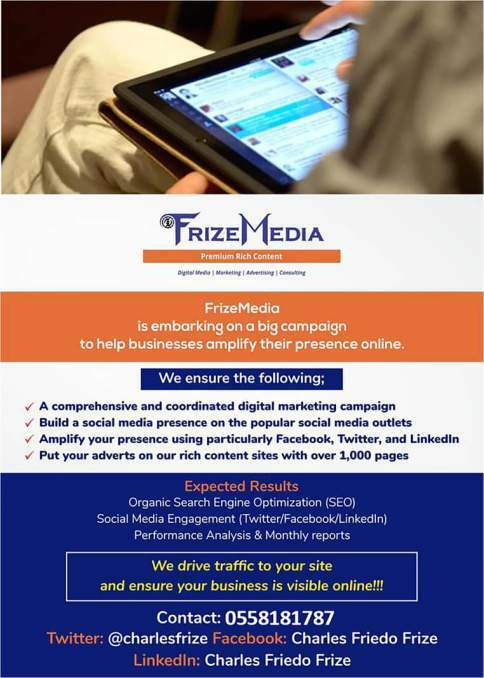 FrizeMedia: My name is Charles Friedo Frize and I am here to introduce you to my dynamic and engaging platform to promote your business, events and services. Social media is growing at an alarming rate and I am in the midst of this exciting medium. If you are a business and not engaged in social media, you are leaving your enterprise at a great disadvantage. Social media is no longer just a trend, but a prevalent revolution that can essentially be harnessed for business. It has an absolute impact on sales and positive word of mouth. Word Of Mouth - Viralmarketing. Individuals share, read and by and large engage more with any type of content when it’s passed through acquaintances and folks they know and trust. The rush in social media usage is one that at best CANNOT be overlooked by any consumer-oriented business. Surveys shows 52% of Facebook fans are more likely to buy the brands they fan; and 79% of Twitter followers are more likely to recommend the brands they follow. Conversations in social media actively influence purchases. Well thought out internet marketing makes any website very effective. Your business or products cannot be made known to the public without marketing. The only way to make your products and services known is to put them out using social media marketing and online marketing. 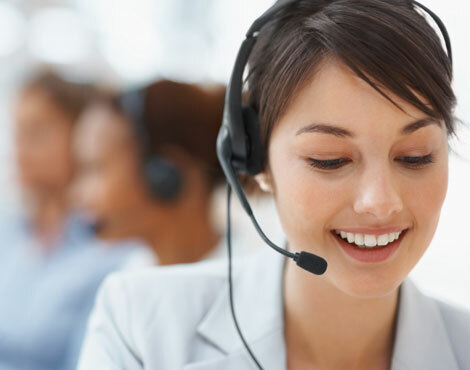 It has provided us with a unique platform to engage, connect, and interact with potential customers, turning what used to be a controlled, one-way message into a real-time dialogue with millions. 78% of Internet users use the Internet to research products and services; though they end up buying at the shop, they actually go online to find sellers and possibly compare prices. Traditional advertising methods are quite disruptive and they vie for people’s attention by interrupting what they are actually interested in. This in turn becomes a predicament because present day audiences far and wide simply do not have time to be bored or ‘browbeaten’ by these orthodox, old-fashioned advertising. The truth be known: disruptive advertising tactics are increasingly ineffective, and will continue to, because today’s target audiences know what they want (or at least think they do anyway). What they don’t ‘need’, is you to continue trying to persuade them into buying a product or service they don’t, or feel they don’t need. I have a thirst for knowledge. With a passion to absorb as much information, to be knowledgeable on any topic, and my love for business, led me to create the most dynamic and engaging business platform anywhere online. I have been an internet marketer since the infancy of the world wide web. And like most marketers online, traffic to our business or blog is a lifeline. I was aware the days of big banner ads were drawing to a close. And pay per click to a degree was not delivering as it used to. I had a passion to build the most engaging and content rich platform. A platform that would be helpful to visitors. That was my priority. This I knew would be a major asking and time consuming. By achieving my goal of building it, I would attain my target of motivating and empowering people through business and ecommerce. I am on a journey of enlightenment and AWARENESS. I have always been spiritual but my life was not governed by it. Embracing Metaphysics and Spirituality directed my life on a new path. A completely Holistic approach to everything I do which is calming, comforting and fulfilling. I find myself inspired by a concept that enables a person to soar to higher heights. The notion of adding value to everything you do, when applied to specific areas of a person's life, can bring that person to be highly sought after by those receiving the added value. Applying this notion and have it focused particularly on business will take your enterprise to amazing heights of success. Another way of looking at this concept is in the idea of doing more than is expected, or doing more than that which you are compensated to do. When doing this a person will be "weighed" against others who do not. In comparison, the person who adds value to all he/she does will be sought after to the degree that there will be keen competition for his/her service. As a person becomes more and more recognized for doing more than he/she is compensated to do, he/she will begin receiving more and more compensation for their services. And this is how I apply myself in my business. To build the best dynamic business platform there is. Not in monetary terms but in added value. Whats all that got to do with marketing I hear you say. Well, everything as a matter of fact. And if you think otherwise, you simply are missing the point. Marketing is all about relationships. To build a relationship with your customers or people you hope to be, you will need to engage with them. If you believe as I do that the future of many businesses depends on their marketing reach online, then you will need to either build a platform that is engaging, or find one that is. I have done just that. And you will be able to advertise your business, events and promotions here. I have built 5 authority sites. What is an authority site?. It is a very high quality website that is held in high esteem by knowledgeable individuals in its industry. It is a website that has content or information on it that is so helpful and makes the site so useful that folks are actually thrilled they landed on it and happy to share it with their friends. 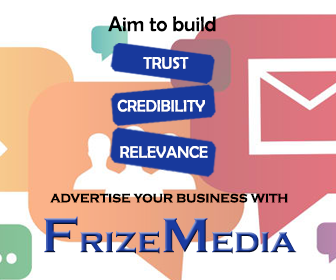 Authority sites like FrizeMedia's in particular are information based websites. The chief aim is to teach and inform website visitors. Anyone who builds an authority site has the capability to monetize the site, but it's not the primary focus. The focus on authority sites is delivering exactly what the visitor is expecting. Great, helpful and informative content. These type of sites are mainly centered around one core topic that is typically very focused and very detailed. I cover many topics thoroughly, and my goal is to become the single most useful source of information People can find. When you have great content that people need and love, there is a tendency to share. And that is social media marketing and engaging your audience. When you have their attention, it means they are willing to listen to what you have to say. 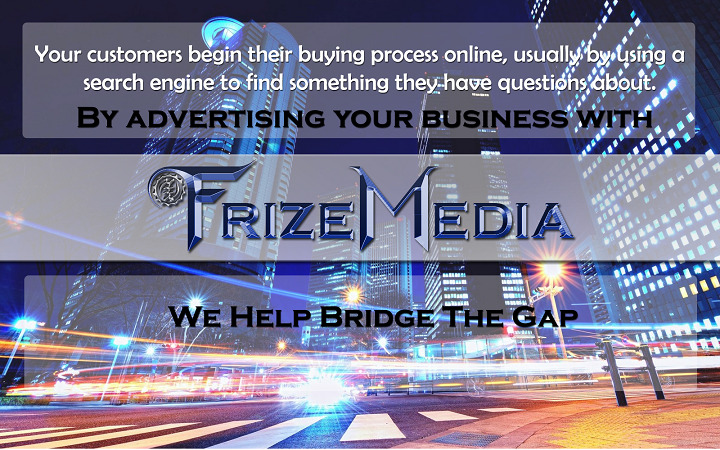 FrizeMedia websites that you can promote your business on are ranked number 1 for having the most engaging audience. Visitor Loyalty: direct or bookmarked site visits (as opposed to visits from search engines or ads) In my case only 2% of my traffic comes from search engines. I drive my own traffic from social media and do not rely on search engines. And by word of mouth, thus, viralmarketing. Content Shares: pages, stories, videos shared to social networks or emails. My pages are shared and bookmarked more than any site. To make a point, the stats are based on unique visitors. Unique visitors are first time visitors to a site or page. Its great to have returning visitors to your site. But your true worth in salt is measured by unique visitors. 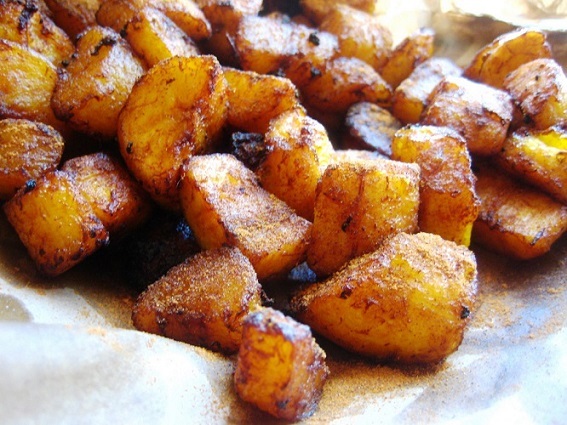 And more importantly, retaining them. 1. Bounce rate. The percentage of visitors who leave immediately after viewing only one page. A high number denotes a lot of people not staying on the page. It means people get on the page, take a quick look and then leave. It also means whatever they are looking for, that page is not delivering it. The best websites have bounce rate of about 42% to 67%. It simply means that percentage of people leave after looking at a page. My site is between 12% and 17%. Obviously it fluctuates daily. My figures are exceptional. 2. Duration or dwell time. measured as Average Time on Page or Average time on site. Obviously a high bounce rate equates to shorter time on a page or site. The best websites again average about 3 to 5 minutes. My dynamic site outperforms every website and produces an outstanding 47 minutes per unique visitor. Again the best websites manage about 3 to 5 pages per unique visitor. My authority site excels once again and rakes in a whopping 20 to 40 page views per unique visitor. There are many tools for analytics. They all point to similar results. Now that you know what the numbers mean, brace yourself and feast your eyes on my jaw dropping stats. As an acid test, copy and paste your favorite Url into Alexa analytics to see how it compares. For any business involved in pay per click or other type of marketing online, perform a similar test. See how your hard earned money is working. Here is the link to my stats and it does open in a new window. When you finish and close that window, you will be right back here. Take A Look At All The Links Below For You To Get The Full Picture Of Our Credibility And Excellent Content. If you operate a food and drink business,you might want to take a look at our great content and how much our pages are shared by the thousands of our discerning visitors who find us every single day. We have some of the best topics on business marketing anywhere online. I am the only entrepreneur and marketing expert that i know of who does not use affiliates or pay pay click to get the word out. Advertise your business with us to reap massive benefits of your business being showcased on all of social media.Take a look at some of our pages. Real estate agents, auction houses, and individuals hoping to sell their homes and property will benefit by greatly by advertising with and tapping into our rich source of targeted audience. Take a look at some of the topics that we cover. As a health provider looking to advertise your business and service, we provide a compelling platform for you reach an audience looking for unbiased information regarding heath issues. We see our advertisers as partners. 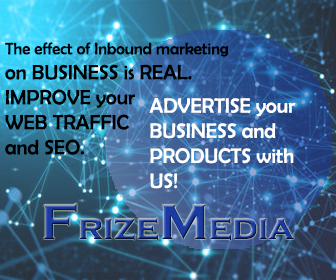 We drive targeted audience to our pages every single day, thereby your brand and services making an impact in the minds of our discerning visitors looking for relief. Our Travel Site Also Boasts Great Content. The Link Below Is To The Home Page. Just As Above,The First Link Is To The Home Page. My guiding principle is clear cut, to execute local advantages with a worldwide delivery brand. To foster exciting business benefits for clients on every occasion and expand briskly building on those strengths. I am clear in my vision of building a company, to be globally respected, and my small but truly focused team and I are not engaged in activities which are not core competence of the business. Effective management pledge and uniform effort ensures that these principles translate into work practices each day. We are committed, dedicated, have a strong believe in integrity, and show transparency in all our transactions with our clients. In turn, each project and each client, warrants our best attention and complete assurance. We take significant pride in our approach which is very professional, certain, creative and energetic. Our commitment goes further than the subsequent client payment date. We take a holistic and win-win perception of our clients' and our own business. It's in our interest to see our clients succeed. Because when we help them win, it's a shared value. What we bring on board is expertise in our area of promoting brands and awareness. That capability helps us contribute quicker and efficiently, on behalf of our clients, who in turn obtain significant business benefits from our association. We encourage a culture of challenging the status quo and develop innovative ways of implementing ideas in solving day-to-day issues.